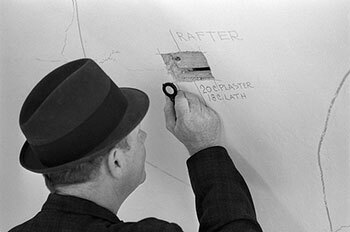 Recognizing “fieldwork” takes increasingly different forms and vernacular architecture knowledge is disseminated through multiple means in order to reach ever wider audiences, the Buchanan Award Committee in 2018 to give out two awards. Springate and her colleagues delivered a monumental, groundbreaking, nationwide theme study of the cultural landscapes of LGBTQ communities. The US National Parks Service project and on-line publication defines and documents in-depth the historical, ideological, cultural, social, and geographical contexts necessary to fully comprehend sites of gendered “otherness”. The wide variety of high quality background, thematic and place-based essays acknowledges regional and metropolitan differences. No "single story" prevails. Indeed, the project mobilized academics and community members to guarantee inclusivity in this collaborative social justice effort and it has already triggered national register nominations and more detailed regional studies, like the New York City’s LGBTQ Historic Sites website initiative, which was another very worthy candidate for the award this year. 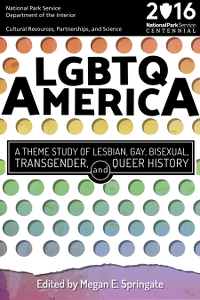 Exceedingly valuable to historians, academics, preservationists and broader audiences in their efforts to interpret, teach and preserve sites of underrepresented groups, the Theme Study connects people and events to places associated with an important segment of the American population, namely persons who identify as LGBTQ. Rachel Galan and Anthony Souther and their team coordinated the reconstruction of a Caddo Grass House by members of that nation and volunteers in a key effort to study indigenous building traditions at the Alto, Texas, State Historic Site. But their project encompassed more than adding an important material and social artefact to display and interpret for visitors wanting to understand the people and society behind the construction of the earth mounds, which are the principal physical exhibition at the site. Like the ritual rebuilding of the Ise shrine in Japan, the modern reconstruction of the grass house also provided a unique opportunity to perpetuate traditional Caddo construction knowledge and to transmit artisan skills to upcoming generations. The process was captured from start to finish. The videos, photographs and written documentation are now used in educational guides and interpretation programs and provide useful comparison with past building techniques and the archeological record. 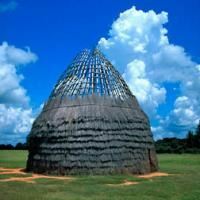 As a community space for the Caddo, the house connects stories to site specific experiences, and importantly reminds us that indigenous cultures are dynamic. We applaud both these winners for their excellent research and dedication to collaboration and inclusion. The award was instituted by VAF in 1993 to recognize contributions to the study and preservation of vernacular architecture and the cultural landscape that do not take the form of books or published work. Hundreds of studies, reports, documentation projects, restoration projects, conservation plans, National Register nominations, exhibits, video/digital media productions and public programs are completed each year without the benefit of distribution or recognition beyond the limited audience for which they were commissioned. Nonetheless, many of these efforts can serve to inform and inspire us all. The award is named for Paul E. Buchanan who served for over thirty years as the Director of Architectural Research at the Colonial Williamsburg Foundation. Buchanan set the standard for architectural fieldwork in America and inspired many VAF members in the rewards of fieldwork. This award honors the valuable work of documenting and understanding built environments that most of our members and professional associates perform.